My life’s journey has definitely had many twists and turns, taking me from international travel with the airlines to my now great passion-photography. My love of photography came to me as I wandered through many beautiful and interesting locations in Mexico, Norway, Germany, France, Canada and the United States. I photographed and captured my favorite sights wherever I went, as my interest in the importance of light, angles, fascinating subjects and getting that perfect shot soon expanded to a vision of becoming a professional photographer. Now, years later, equipped with state of the art equipment, and happy clients, my earlier vision has become a reality. 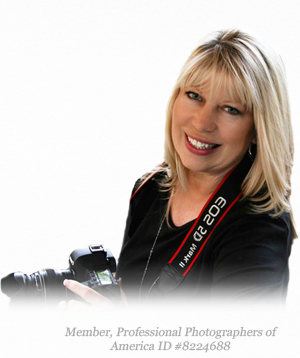 My work includes, people and pets, weddings, special events and professional head shots. I serve the greater Houston area creating many special memories every day.